It is a common request that is a reasonable expectation, but a national raffle is not that simple to get off the ground when it comes to 6 states and 2 territories, each with their own government raffle regulations. (face grimaces – yours and mine). Lucky you have stumbled across our blog. Is an Australian National Raffle truly possible? In February 2019 WA made changes to their legislation to open their borders in both directions so now a National Raffle is totally possible. Like many websites, we could just cut & paste the legislation from the Government Acts into pages and pages of reading material and you would still need to read and make sense of it. Instead, we at RaffleLink have done the hard yards for you to decipher the various state regulations and we offer our potential clients free tailored permit advice to suit their raffle specifications. We are also happy to dispel some common misconceptions and share a few choice facts that will steer you in the right direction towards the launch of your “national raffle”. Are you fundraising for a not-for-profit? 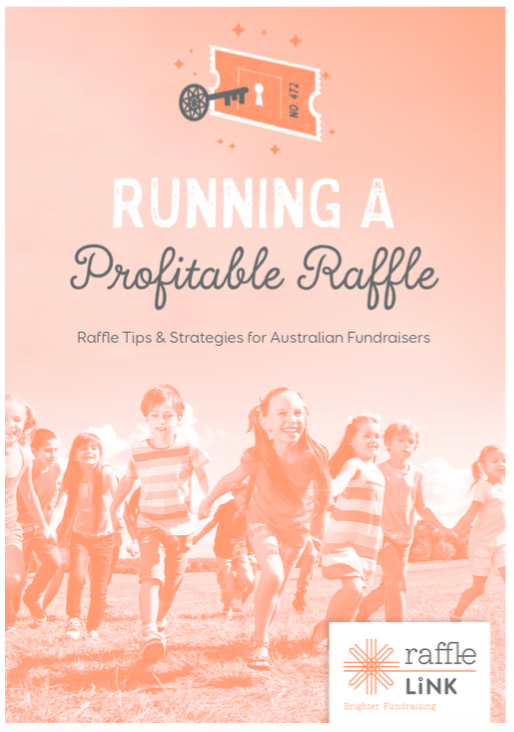 Firstly and importantly, a raffle is only able to be conducted to benefit a not-for-profit organisation, not for personal gain. We often receive enquiries from people fundraising for a sick relative/friend or to send a talented sportsperson overseas for a competition. Conducting a raffle for these causes, though worthy, is not legal. This applies to every state in Australia, however in Queensland it is possible to apply for a Special Category 3 License to fundraise for “a person in need”. My charity is already registered for charitable fundraising, so I don’t need a permit. A charitable fundraising license allows a charity to conduct charitable fundraising activities excluding raffles. In Australia raffles are considered gambling and are overseen by the Government department in each state, usually the Office of Liquor, Gaming & Racing or something similar. To conduct a national raffle, permits may be required in some/all states and a charitable fundraising license is not sufficient. Will I need a raffle permit? Across most states except QLD & NT, the value of your total prize pool will determine whether you require a permit. Great news! For many states, if your prize pool is $5000 and under a permit is not required. However, there are other regulations to adhere to such as a cap on the total amount you are able to fundraise, prohibited prizes and mandatory information that must appear on the ticket and kept as financial records. We encourage you to get in touch and discover the ins and outs for your particular raffle. But I only have to worry about the regulations in my own state, right? Wrong. Regardless of whether your raffle is using paper tickets or online, you will need to abide by the raffle regulations of each state in which you wish to sell tickets. A common misconception is to think that with an online raffle you can easily sell tickets in all states if you have a permit for your own state. Not so. Every state has widely differing regulations and RaffleLink is here to provide advice and suggest the best formula to keep your raffle legal. Yes it is confusing and we are more than happy to set you straight with a free phone consultation. Following our chat, we will supply you with a customised Permit Summary to suit your raffle with links to permit applications where necessary. So don’t waste time wading through the government paperwork – we’ve already done that. Contact RaffleLink and fast track your next raffle launch.